Over the past couple of months as part of the JEP programme, the children have been learning about setting up a business and in turn each pupil devised a business plan. The class met with two entrepreneurs who shared their experience of setting up & being in business. The children then revised their plans in light of what they learned & constructive feedback from their peers. 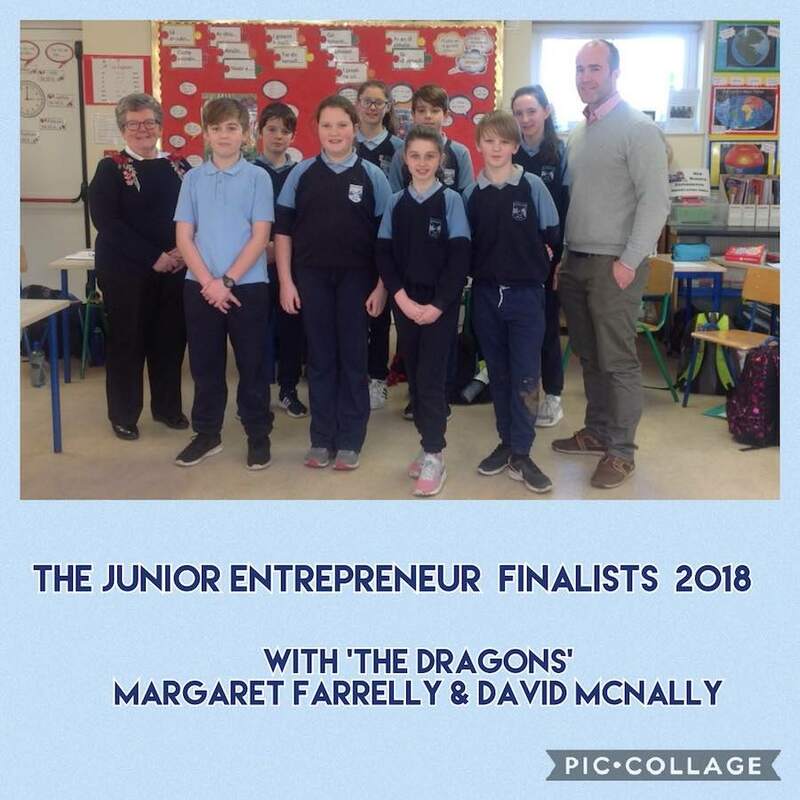 Eight business plans were shortlisted & the pupils pitched to the Dragons, Margaret Farrelly & David McNally. Some of the pupils even had samples of their products for the Dragons to taste! 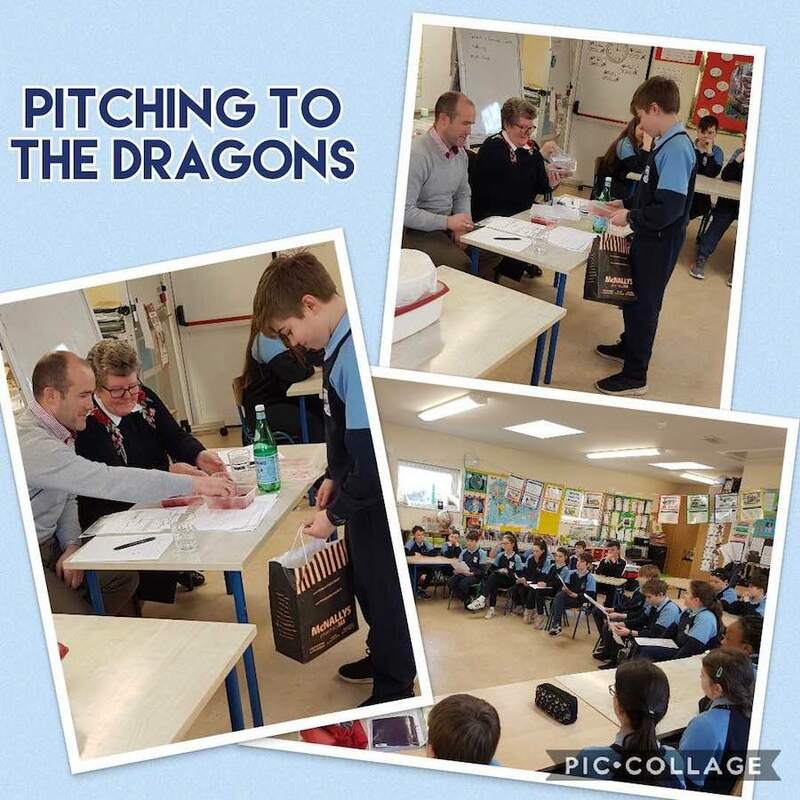 It was a very difficult decision for the Dragons but they chose Robert McCabe & Oisin Jacob's business plan for Herb & Salad Boxes as the winning plan. Orla Cunningham with her 'Healthy Bites' plan & Luke Kelleher with 'Fizzy Fruit' came joint second. Eva Briedyte - After School Creative Club. Watch this space as the whole class get behind the winning plan & turn it into a business!